Whether you want to track your activities for a personal evaluation or a teamwork report, there is a number of tools that you can rely on. Commonly, most tracking tools are available in Windows and Mac. But, there are some that kindly provide their tool for Linux too. 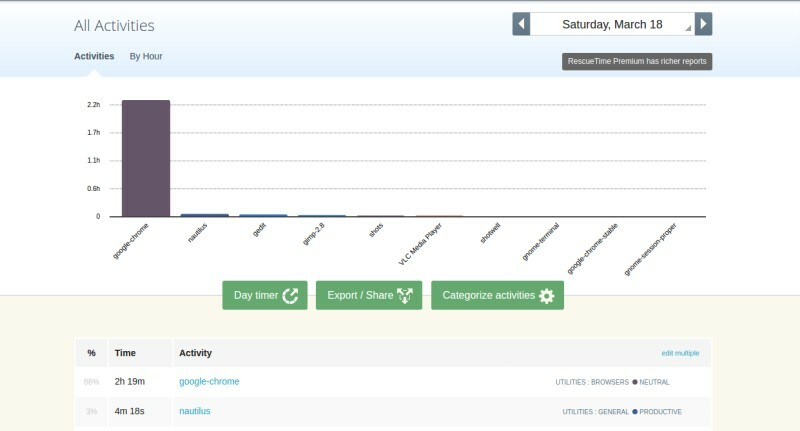 RescueTime is one of the tools which you can use to track your activities in Linux. RescueTime is a cross-platform app. Apart from Linux, you can also use this tool for tracking your activities in other devices including Android, Mac and Windows. RescueTime offers two major packages for Linux platform, DEB and RPM. Each package available in both version 32 and 64 bit. This article will show you how to install and use RescueTime to track activities in Ubuntu. Other Debian-based distros should also follow the same steps. Firstly, download the DEB package of RescueTime here. RescueTime depends on sqlite3 to work. Open your terminal and type the following command to install the library. 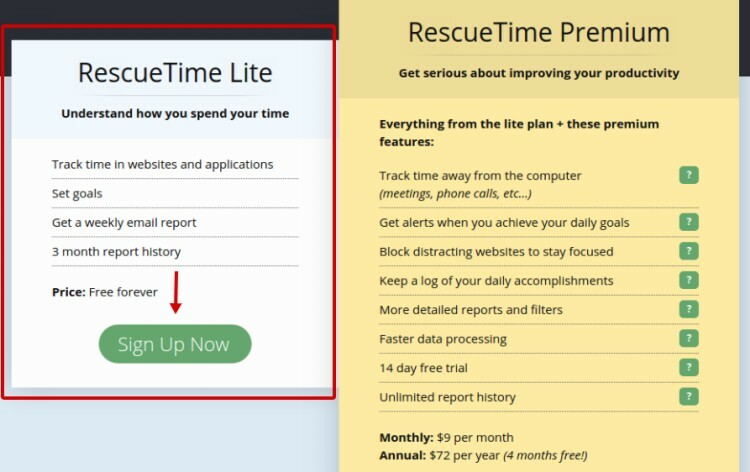 Now you can start installing RescueTime. Go to the location of DEB package of RescueTime using cd command and type the following command. Before being able to track your activities using RescueTime you need to register to the service first. Just for your information. RescueTime is a freemium app. You can use this service for free but, premium version is also available if you need more features. To just tracking your activities free version is more than enough I guess. 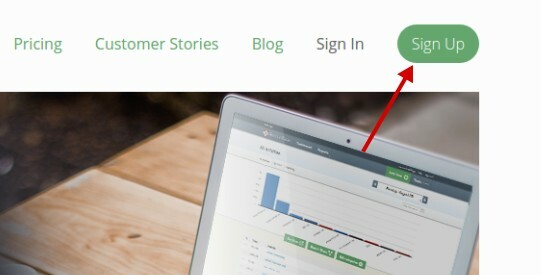 Visit rescuetime.com and click the Sign Up button. 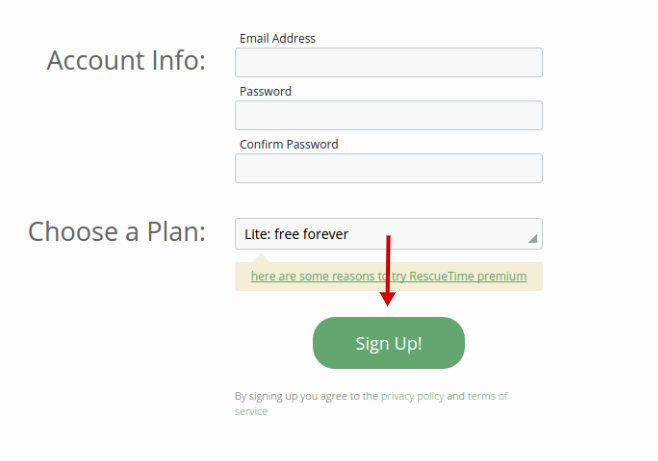 If you want to register for the free plan, select RescueTime Lite package and click the Sign Up Now button. Fill out the email and password columns and click the Sign Up button. Once done with the installation and registration processes you can start tracking your activities in your Ubuntu desktop. You can only run the RescueTime app from terminal. If you search for this app on the Unity Dash you will find nothing. Open your terminal and type “rescuetime”. At the first launch you will be asked to type your email address for activation. Just type the email address you have registered earlier. Once done, you should see a new RescueTime icon at the system tray. 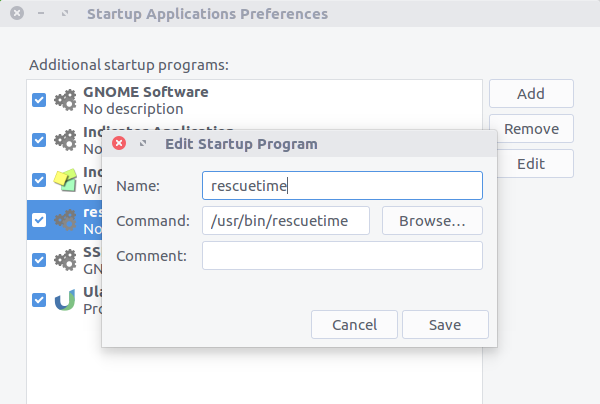 In order to make it more convenient you can add RescueTime to the Startup Applications list to launch it automatically every time your computer is booted. Every time you want to check the tracking report just click the RescueTime icon on the system tray and choose Go to Dashboard. You can also pause the tracking process anytime. RescueTime will let you know how long you spent your time on a certain app in Linux, which is grouped in some categories. Just click on each category to see the details. The tool also lets you to email the report to anyone, which is very useful for a teamwork where you can share your report to your manager/boss. Here is the glance look of RescueTime dashboard. Thank you! I had no idea that Ubuntu came with a GUI that handles startup applications until I read this.